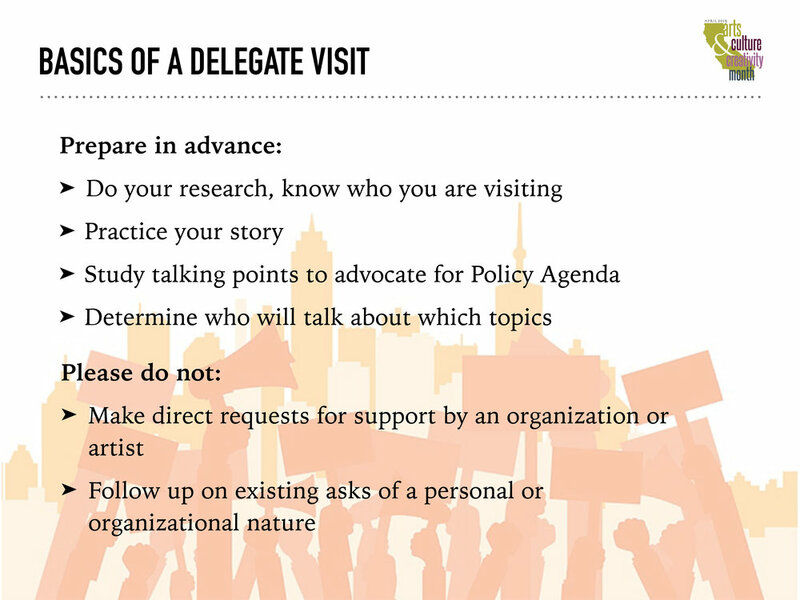 Couldn’t make it to an Arts Advocacy Training? Missed the webinar? 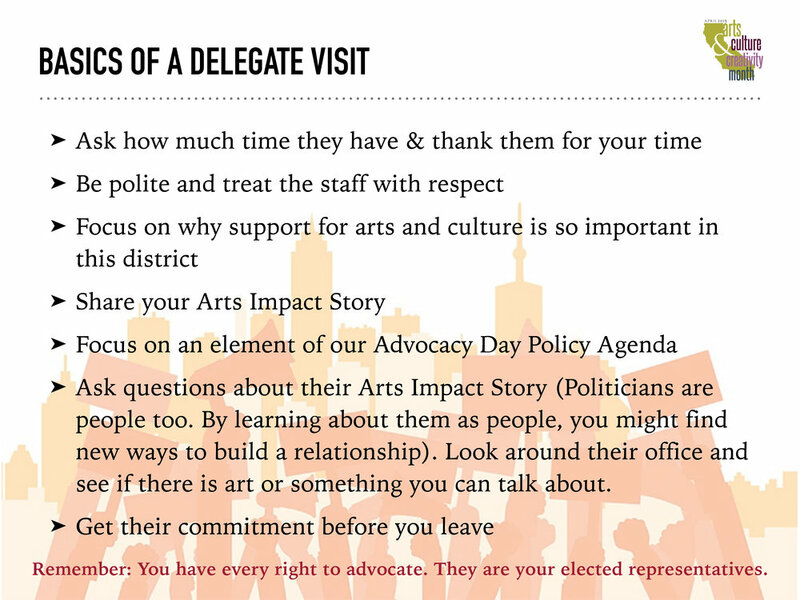 Watch our Arts Advocacy training video! Arts unify communities. 72 percent of Americans believe “the arts unify our communities regardless of age, race, and ethnicity” and 73 percent agree that the arts “helps me understand other cultures better”—a perspective observed across all demographic and economic categories. Arts improve academic performance. Students engaged in arts learning have higher GPAs, standardized test scores, and college-going rates as well as lower drop-out rates. These academic benefits are reaped by students regardless of socio-economic status. 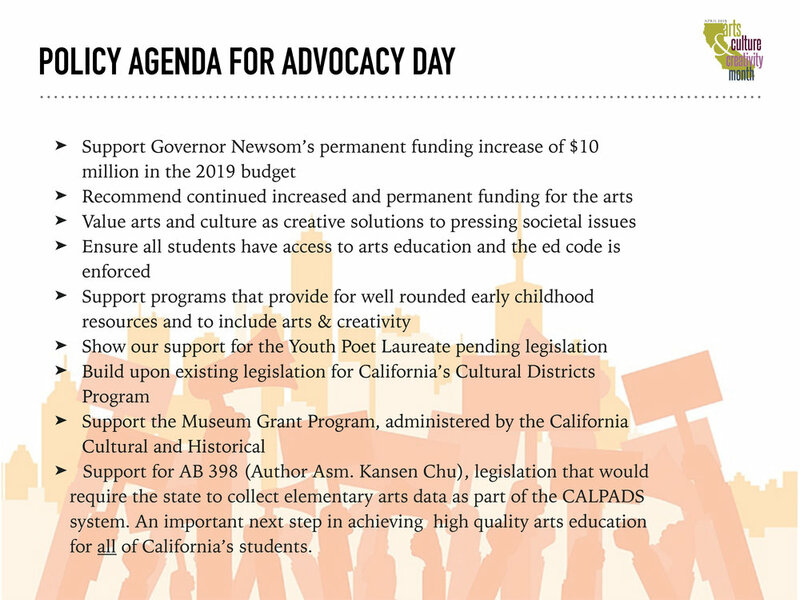 Yet, the Department of Education reports that access to arts education for students of color is significantly lower than for their white peers. 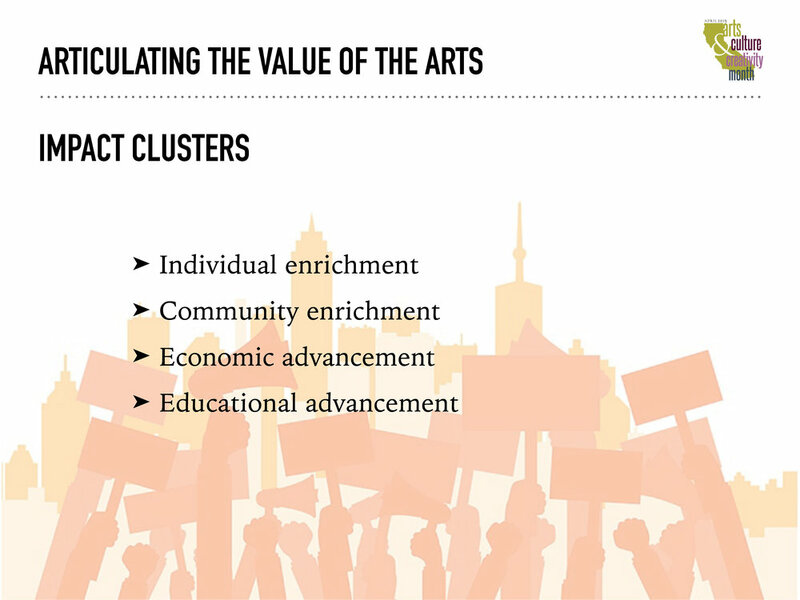 88 percent of Americans believe that arts are part of a well-rounded K-12 education. Arts strengthen the economy. The production of all arts and cultural goods in the U.S. added $804 billion to the economy in 2016 (including a $25 billion international trade surplus), a larger share of the nation’s economy (4.3 percent) than transportation, tourism, and agriculture. 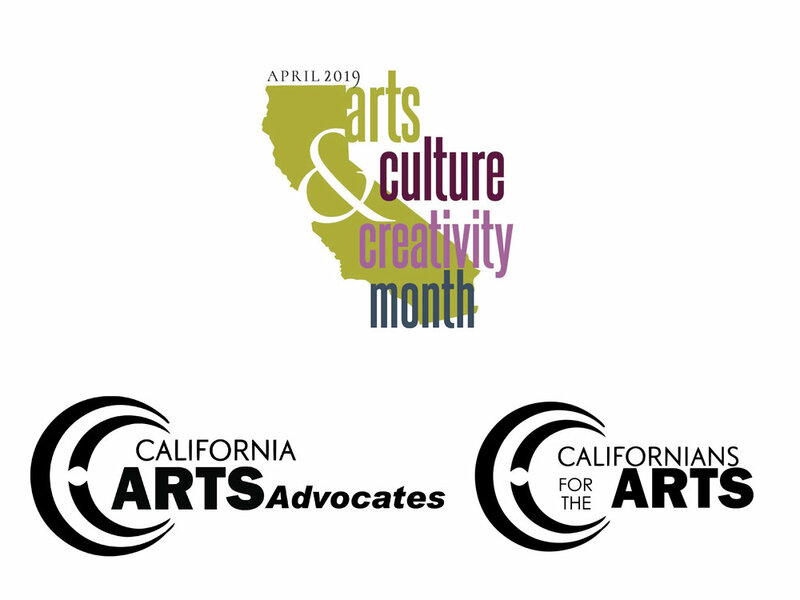 In California, arts & culture is a $186 billion industry—7.0 percent of the state economy (source: U.S. Bureau of Economic Analysis). The nonprofit arts industry alone generates $166.3 billion in economic activity annually—spending by organizations and their audiences—which supports 4.6 million jobs and generates $27.5 billion in government revenue. 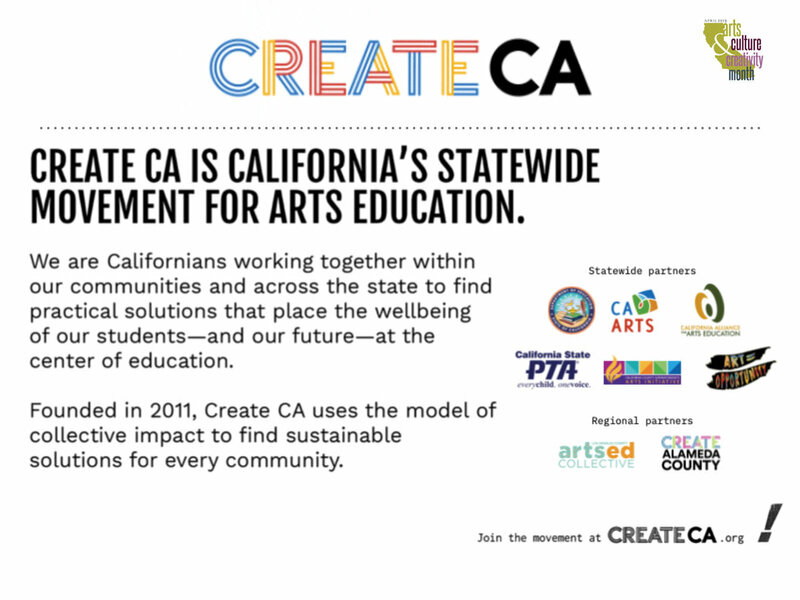 Arts drive the creative industries. 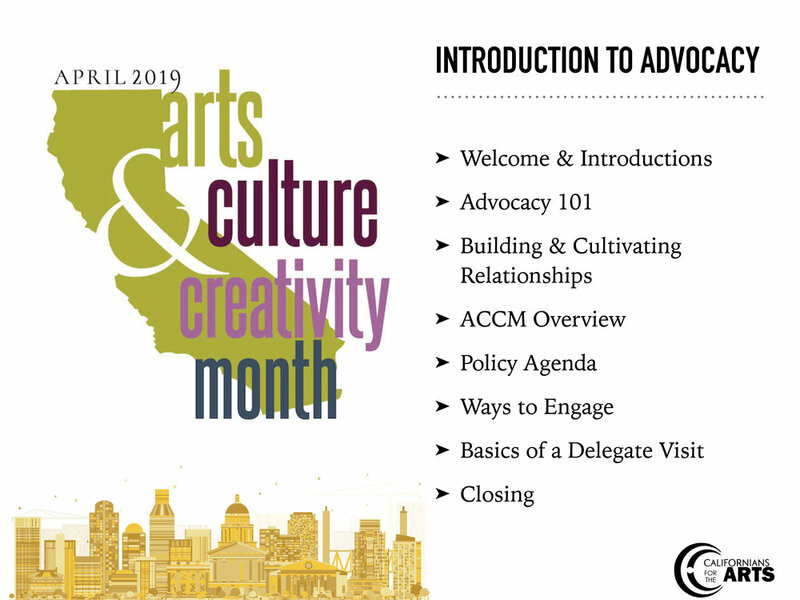 The Creative Industries are arts businesses that range from nonprofit museums, symphonies, and theaters to for-profit film, architecture, and design companies. 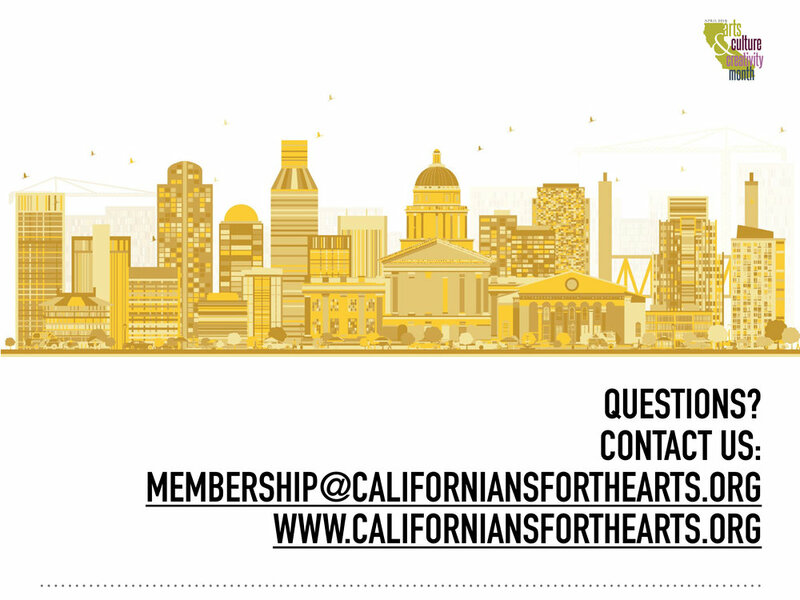 A 2017 analysis of Dun & Bradstreet data counts 103,191 businesses that employ 545,627 people in California involved in the creation or distribution of the arts—5.1 percent of state businesses and 2.9 percent of all employees. Arts for the health and well-being of our military. The arts heal the mental, physical, and moral injuries of war for military service-members and Veterans, who rank the creative arts therapies in the top 4 (out of 40) interventions and treatments. Across the military continuum, the arts promote resilience during pre-deployment, deployment, and the reintegration of military service-members, Veterans, their families, and caregivers into communities. 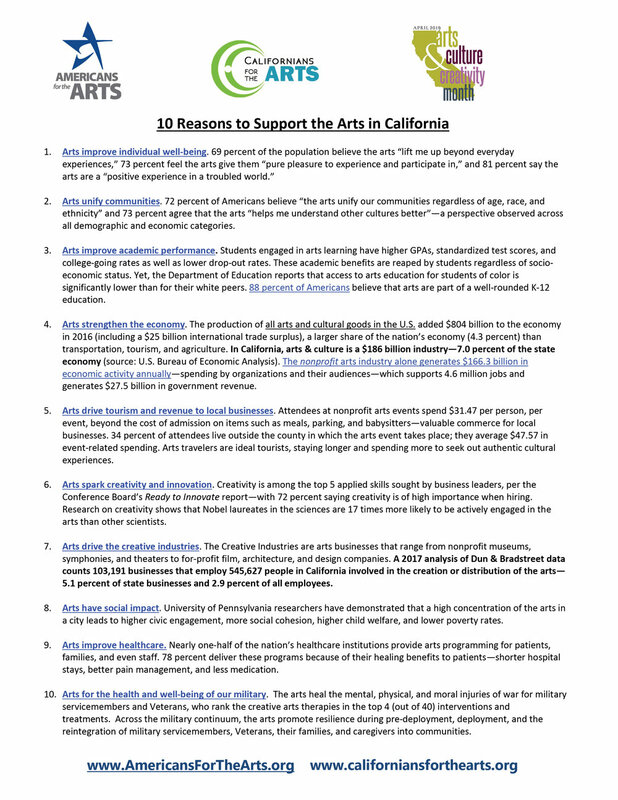 Download 10 Reasons to Support the Arts.